Circa 1959-1969. 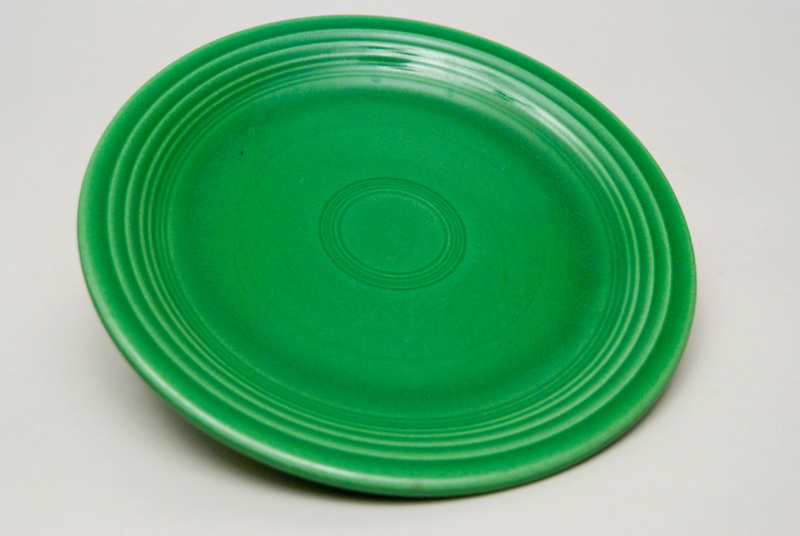 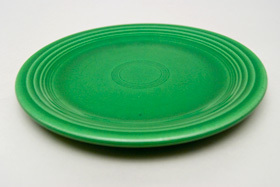 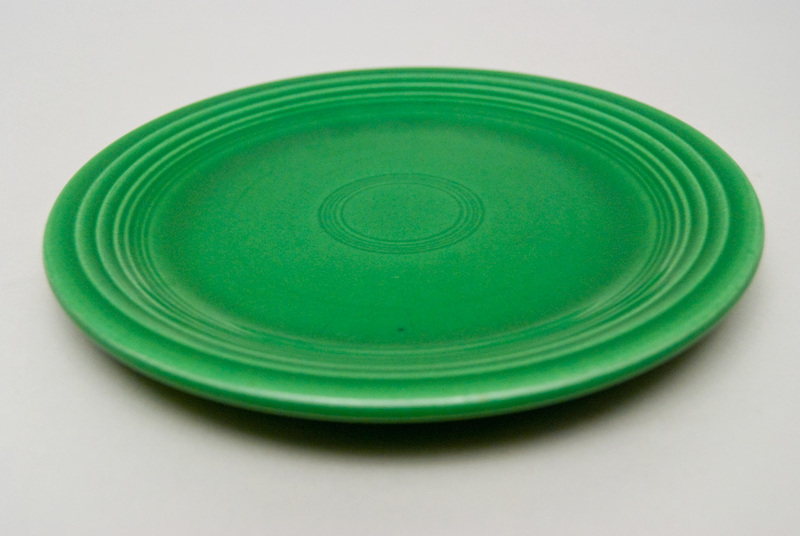 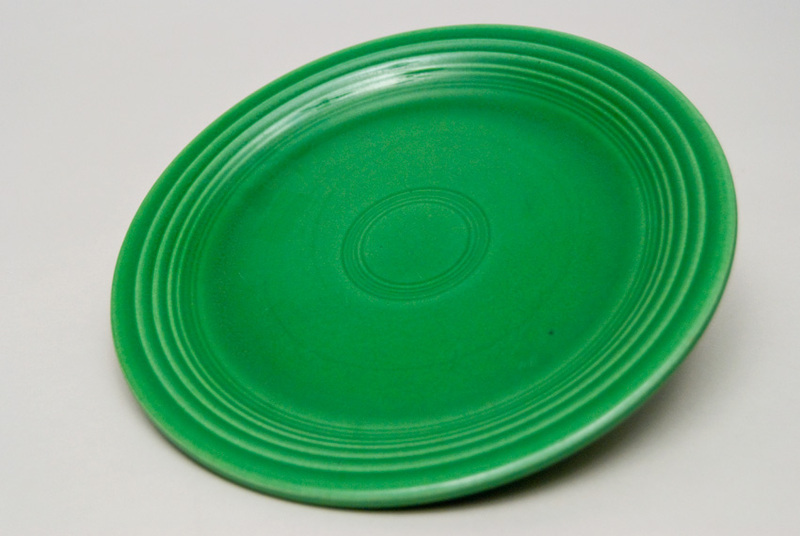 Wonderful vintage Fiesta Medium Green glaze on this 7" inch salad plate. 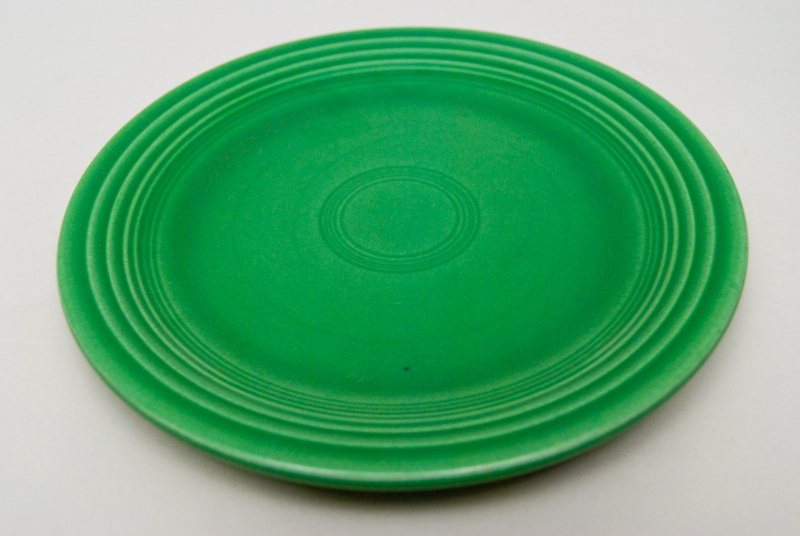 The vintage Fiesta plates are adorned with concentric rings jiggered on the back. 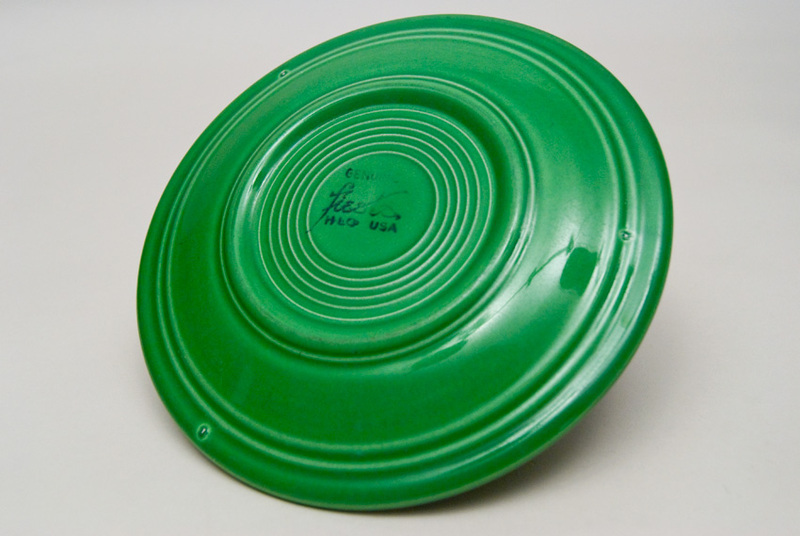 Ink stamped in the glaze "genuine fiesta". 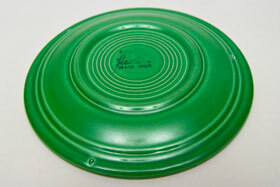 Fully glazed with the three kiln marks showing on the back. 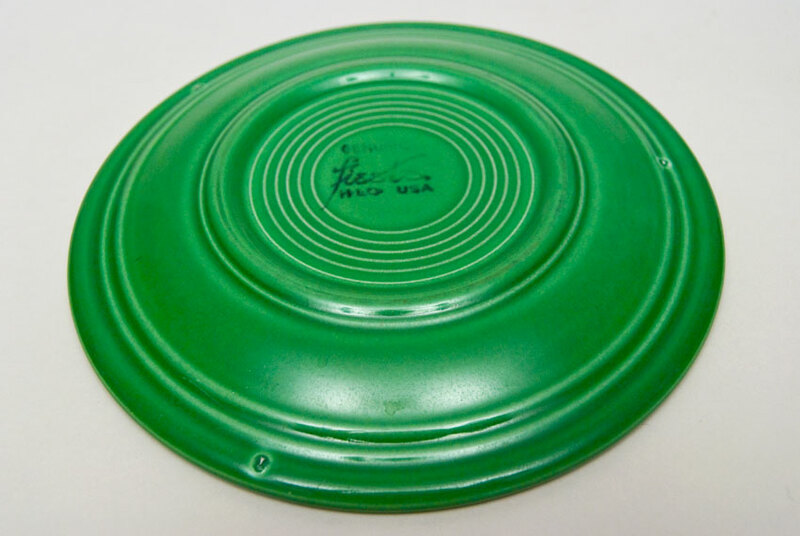 Guaranteed Medium Green.